Pamela Anne Heathman Pamela “Pam” Anne Heathman, 72 of Nevada passed away Saturday, February 9, 2019 in Joplin following a period of illness. Pam was born February 7, 1947 in Jerico Springs, MO, the daughter of Billie Thomas and Dorothy Louise (Wallace) Mitchell. She lived in K.C., MO and moved to Nevada when she was seven. She was baptized in the Pine Street Baptist Church when she was nine and graduated from Nevada High School in 1965. Pam married Loren Heathman on May 27, 1977 and worked as a secretary in Nevada for years. Her passion for art and interior design led to self- employment; detailing automobiles in the beginning, house cleaning, and later interior design with arts and crafts fabrication, and wallpapering. Pam is survived by daughter, Erica Nichols, Gentry, AR; son, Ryan Heathman (Amber) Nevada; four grandchildren, Trenton, Lauren, Eric, and Declan; two great-grandchildren, Bentlee and Aiden; mother Dorothy Kenimer, El Dorado Springs; two brothers, Larry Mitchell (Dorothy), Joplin and Bradley Mitchell (Jonna) Boerne, TX; nieces, nephews, extended family and many special friends. 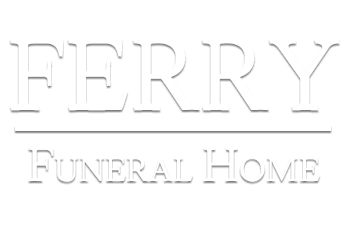 Memorial services will be 10:00 a.m. Saturday, February 16, 2019 in the Ferry Funeral Home Chapel with Mark Mitchell officiating. Inurnment will follow in Newton Burial Park at a later date.